Carcinoid tumour. 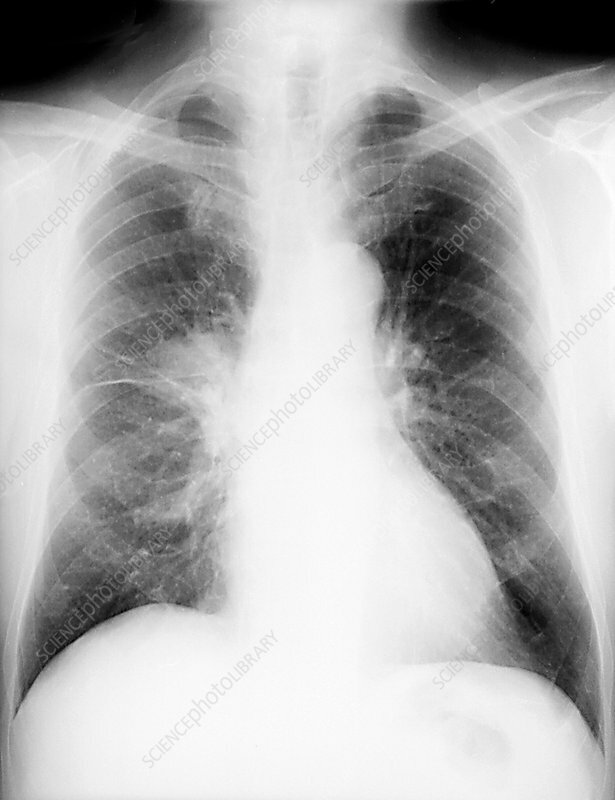 Frontal chest X-ray of a patient with a carcinoid tumour (white, centre left) in their right lung. A carcinoid is a rare tumour of the neuroendocrine system. Although carcinoids may appear in the lungs, they are normally found in the appendix or small intestine. The cause of these tumours is not known, but they develop slowly and it can take several years before symptoms appear and a diagnosis is made. Carcinoids are most common in adults over the age of 30. Treatment depends on several factors, including the size and position of the tumour. It may involve surgery, chemotherapy or radiotherapy.